I was in touch with Laurent by email before arriving. We arranged a time and he was there as planned. He was friendly and kind, showed us how to use the various fittings in the apartment and showed us how the key should be used. He provided a file of useful information (including what to do with the key when we left) as well as brochures. The apartment was very well stocked. The warm greeting by Laurent and his advice. The tea, coffee, water, sugar....etc that others had left. Made the first day so much easier and we got a good feeling about this property right away. The bars and Boulangerie are very good and only a couple of minutes away. Two metro stations are likewise quite close by. The bed was very comfortable. Kitchen contained everything we needed for cooking at home. 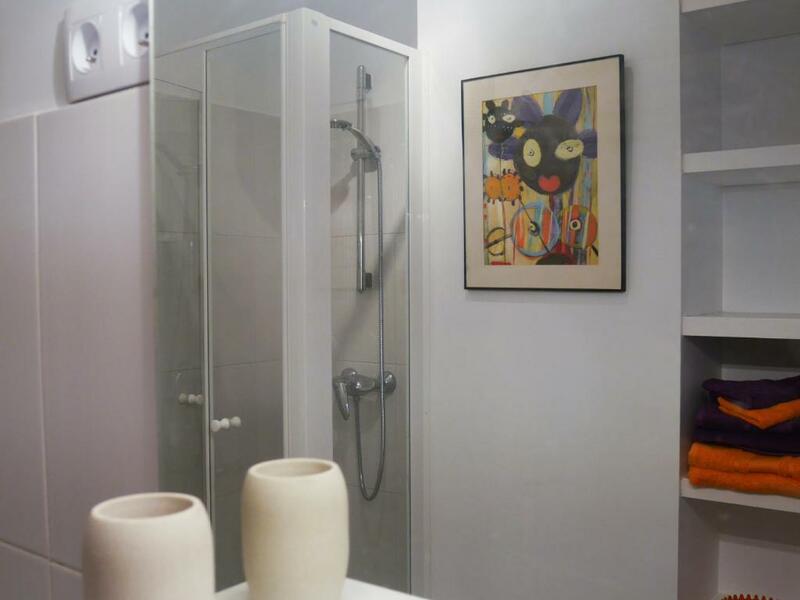 Apartment has excellent location: 2 metro stations, Montmartre, supermarkets, good restaurants and sights are within walking distance. Host was friendly and accommodating to our needs. We were able to check in early and check out late. Also he helped with our bus tickets. The location was excellent. In addition to metro it was very convenient to use the bus to go to the Lourve and many attractions. Very quiet although it was in the middle of the city. This little studio offered easy to 3 different metros and the bus. Good eateries and supermarkets within walking distance. Good to explore Mont Marte on foot too! Quiet and peaceful. The hosts are thoughtful to have provided coffee, sugar and some basics. If you use up more of anything, it is to be replaced works well too. Laurent met us and helped with one of our bags, which was really helpful. He briefed us a little about the city and there are some information leaflets and a file with some maps printed out to access the immediate surroundings as well. 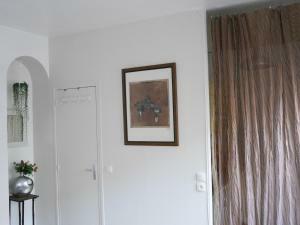 A very nice appartment, near metro and Montmartre. It is quiet, bright and fully equipped with everything you need. Klein, aber fein. Das Appartement ist wirklich sehr klein, aber gemütlich. Die Küche ist bestens ausgestattet, Tee, Kaffee, Zucker, ... und vieles mehr ist vorhanden. Die Lage ist perfekt, zwischen zwei Metro Stationen. Отличное местоположение: рядом три ветки метро, 7 минут пешком до Сакре-Кёр, минут 10 пешком до Северного вокзала, вокруг много супермаркетов и прекрасных кафе. При этом в апартаментах тихо, окна выходят во внутренний двор. Есть обогрев квартиры, температуру можно регулировать. Нам было очень тепло. Сама квартира компактная и уютная, подходит для двоих человек. Есть все необходимое, все в рабочем состоянии, везде чистота. Лестница узкая, лифта нет, но для нас это не стало проблемой. Хозяин приятный в общении человек, был с нами на связи и порекомендовал нам замечательные кафе в округе. Мы остались очень довольны квартирой. Un bel appartamento piccolo ma molto funzionale, spazi giusti per una coppia. Cucina ben fornita in tutto. Vicino alla metro e ai aupermerrcati. Ottimo rapporto qualità e prezzo. Laurent ci ha aspettati all’ora stabilita, è stato molto cortese ed esaustivo nelle spiegazioni. Se dovessimo tornare a Parigi cercheremo di alloggiare nuovamente qui. 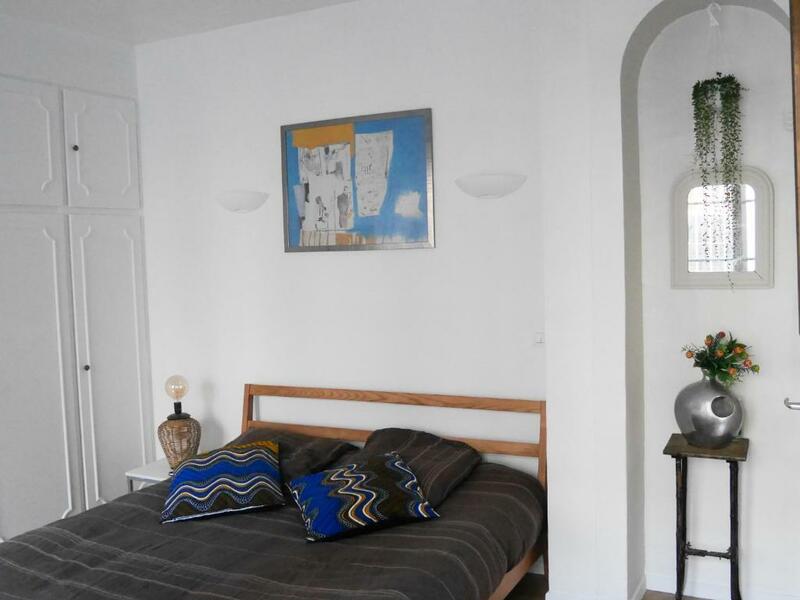 Lock in a great price for Chez Claire & Laurent – rated 9.2 by recent guests! 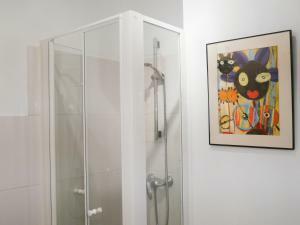 Chez Claire & Laurent offers accommodations in Paris, an 8-minute walk from La Cigale Concert Hall. The property is 1.6 miles from Sacré-Coeur and 1.8 miles from Opéra Garnier. The apartment includes 1 bedroom, a kitchen with an oven and a microwave, as well as a coffee machine. 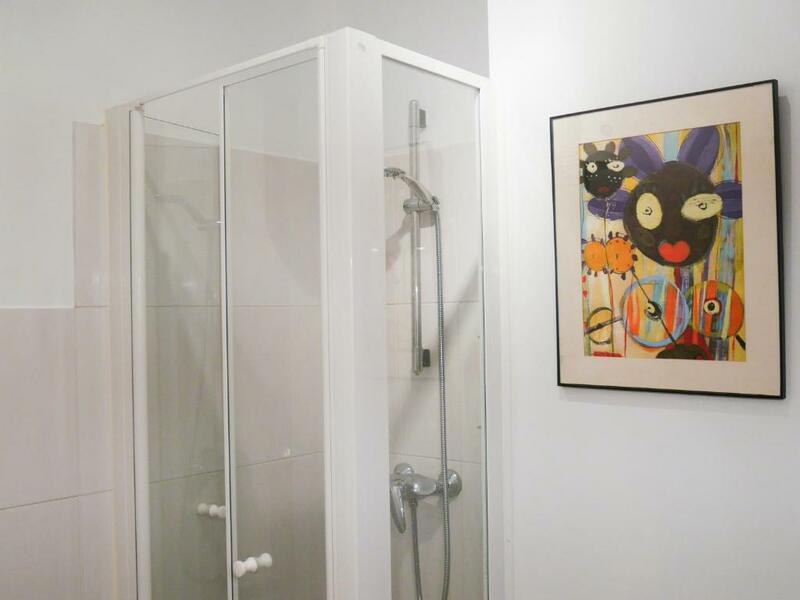 There's a bathroom with a shower, and free toiletries and a hair dryer are featured. 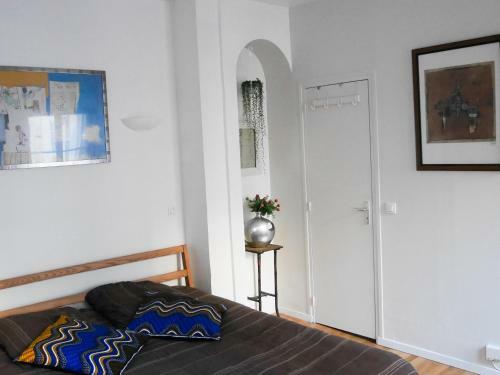 Pompidou Center is 2.1 miles from the apartment. Orly Airport is 13 miles away. 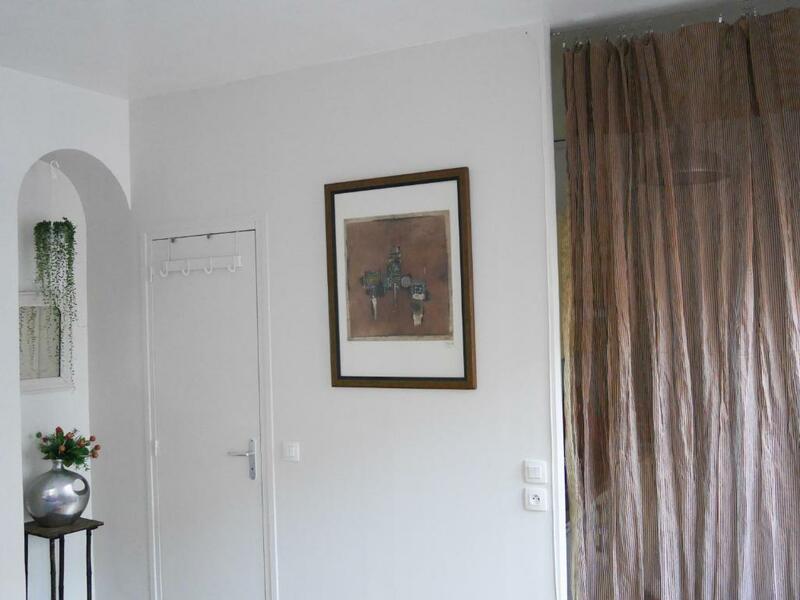 뀐 Located in the top-rated area in Paris, this property has an excellent location score of 9.7! When would you like to stay at Chez Claire & Laurent? 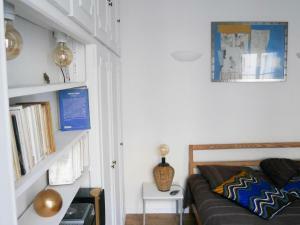 Charming studio and its queen size bed, in a central location. 2nd floor overlooking the lovely courtyard of a safety building. Living area, safe and trendy, at the foot of Montmartre and Sacre Coeur, close to the Gare du Nord (and Gare de l'Est too). Ideal starting point to fully enjoy Paris. 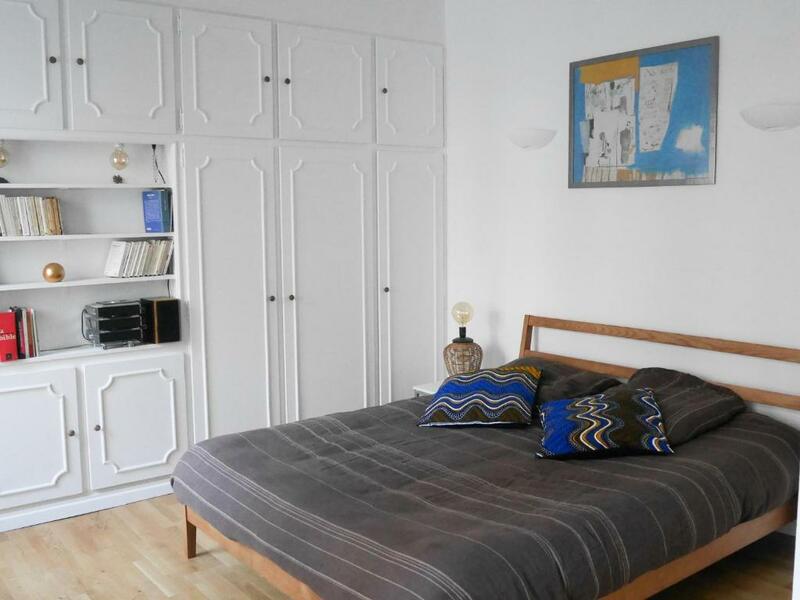 You will love the brightness and calmness of this trendy refurbished studio, located in one of the most living district of Paris and at the foot of Montmartre, two steps from the cute rue des Martyrs. A perfect location to stay in Paris, start your trip every morning, enjoy the neighborhood every evening, and dream about it all nights long. 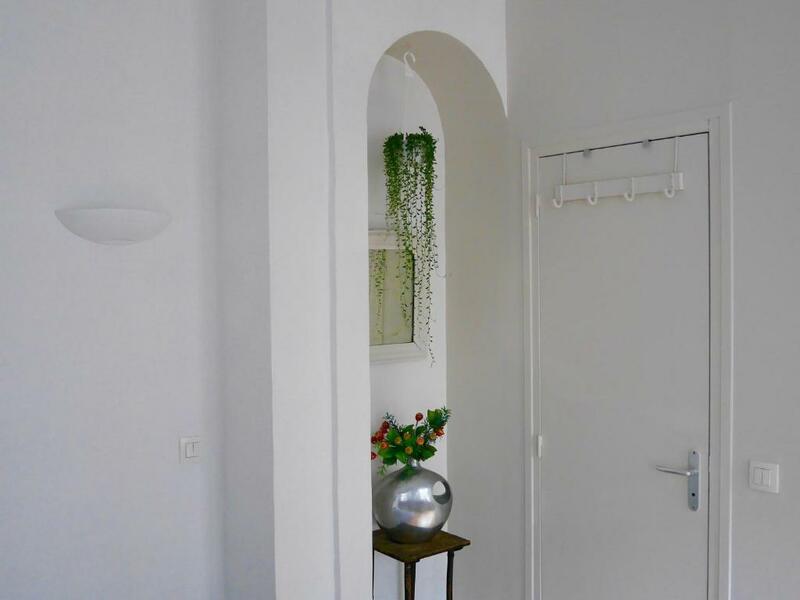 Overlooking a lovely courtyard, the apartment is located on the second floor of a welcoming building, double secured by a digital lock and an intercom. 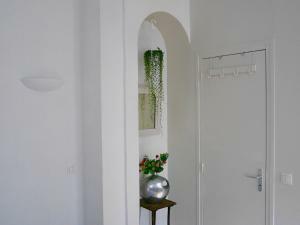 And you will adore the cute balcony at the entrance. The bedding is brand new / queen size bed (160x200cm). Bed linen and towels provided. Kitchen and bathroom are equipped. A couple, both from Paris. We love traveling because we like the meeting. We like the meetings because we like to travel. And we learned that receiving a traveler it is still traveling. It is still sharing. Three children, two of whom have left the nest. House Rules Chez Claire & Laurent takes special requests – add in the next step! Please inform Chez Claire & Laurent of your expected arrival time in advance. You can use the Special Requests box when booking, or contact the property directly using the contact details in your confirmation. We would have liked an elevator, as we're old and my partner walks with a stick. Close to Gare du Nord. Not something they can do anything about.... an elevator just makes it a tad easier with suitcases. The bed is really squeaky. Toilet seat broken. Bed extremely squeaky. Extremely noisy neighbours. No iron. Hair dryer cuts out after one minute. Place was clattered with personal belonging. No lift. Seemed expect us to thoroughly clean the place before departure.